Company directors will now be held personally responsible for ‘nuisance calls’ and could face fines of up to £500,000 each under new regulations. Two directors can be held accountable meaning a potential combined fine of £1 million and that’s on top of any fines against the company. These new rules for breaches of the Privacy and Electronic Communications Regulations come into effect in spring 2017, so you still have time to review your practices. The Information Commissioner’s Office (ICO) has issued fines for more than 70 million calls and 8 million text messages this year. Under the current rules, only businesses can be fined for making nuisance calls, but paying up is often avoided by liquidising and setting up shop under a new name. Only four of the 22 fines issued since April 2015 have been paid. The new rules, however, will give the ICO the power to punish directors. Unwarranted phone calls often cause significant distress, particularly to those most vulnerable, such as the elderly, who may feel pressured into being scammed or buying things they do not need. 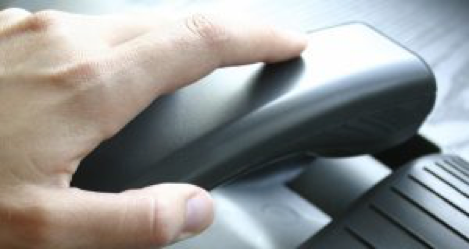 When cold calls happen frequently, it can leave the recipients feeling harassed and intimidated in their own homes. In May this year, research conducted for Which? revealed that 81% of Britons had received a nuisance call that month with 40% saying they felt intimidated. The government’s plan to make company directors responsible comes after other measures introduced to help better protect personal data of UK citizens, such as forcing companies to display their caller ID. There is also a £3.5 million pot funded by the government to tackle nuisance calls, with £500,000 of it spent on call-blocking devices for those most vulnerable.